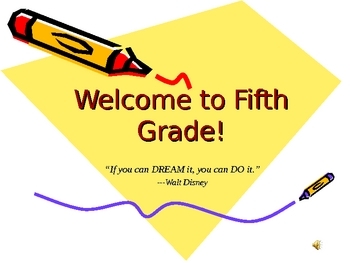 This is a PowerPoint presentation to be used for the first day of school or during Back-to-School Night! 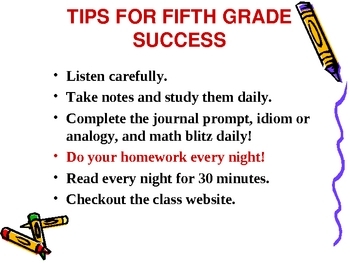 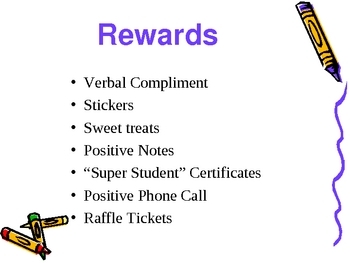 It includes a welcome slide, a tips for sucess slide, a rules slide, a rewards slide, a consequences slide, and a how-to-head-your-paper slide. 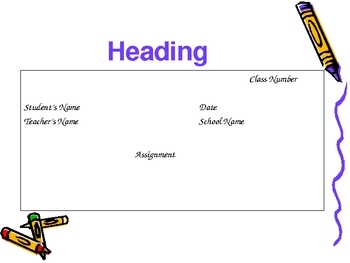 It can be used as-is or it can be customized with your own font, slide design, and classroom management plan.